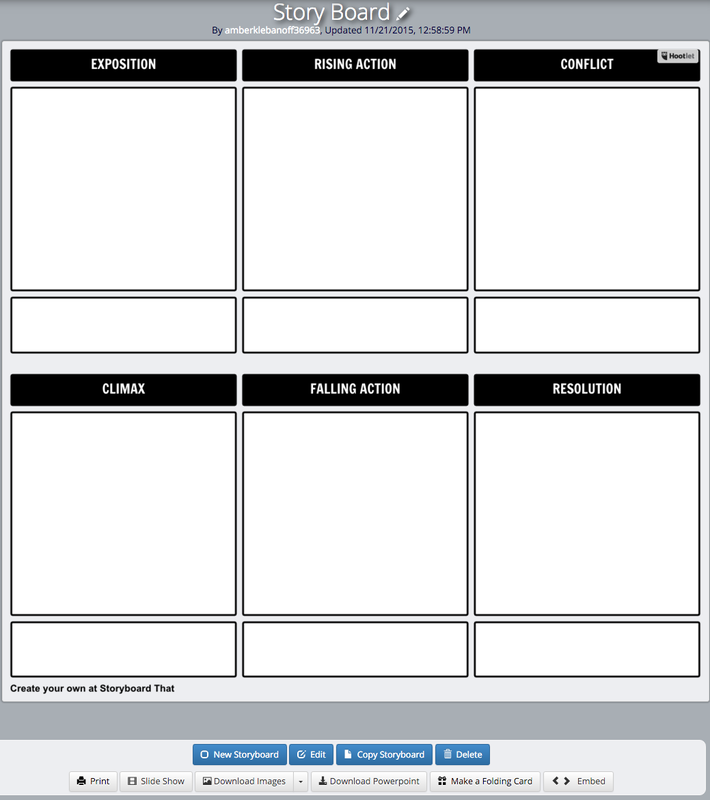 Storyboard That is an online storyboard creator that helps visually communicate ideas and concepts to quickly tell a story. It provides templates in which you can create your stories in a comic strip style along with hundreds of scenes, characters, and text bubbles to fill your storyboard's frames. In the free version you can create up to two free storyboards a week and they can be saved and printed. Helena DeJulia, a Special Education Teacher at SMS, and I, worked on a Fable and myth project using Google slides and Storyboard That. She works with students that have a variety of skills and abilities and wanted to differentiate an assignment for them where they would write their own myth in some way. The students first have to use Storyboard That to storyboard their myth or fable. They must include their Exposition, Rising Action, Conflict, Climax, Falling Action and Resolution. Next students will choose if they would like to write a story including mostly YouTube videos and Images or a Choose your own Adventure Story. This is a great, creative way to have students write a story rather than using Google Docs! If you have any questions, please feel free to email me.